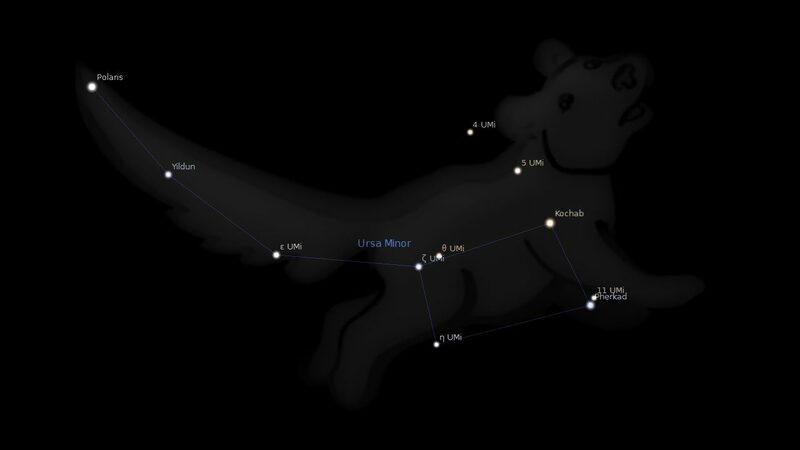 Fixed star Polaris, Alpha Ursae Minoris, is a 2.0 magnitude multiple star located at the tip of the tail of the Little Bear, Ursa Minor Constellation. 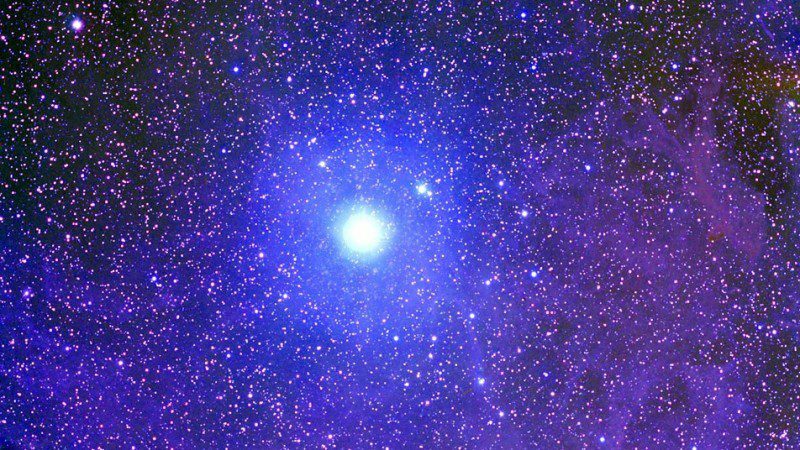 The modern name Polaris comes from the Latin word for near the pole. The ancient name Cynosūra comes from the Greek word κυνόσουρα which means the dog’s tail. It is very close to the north celestial pole, making it the current northern pole star. The Pole Star is the main star of the small Bear situated on the Tail, has a Saturn nature, combined with qualities of Sun and Venus. It might seem strange to include this fixed star here, as its latitude is about 60° and therefore placed far outside of the ecliptic in which the planets move. Measured on the ecliptic, it is situated closely conjunct with Alpha Orionis, Betelgeuse, the main star of Orion. Midheaven conjunct Polaris: Rudy Giuliani 1°56′. 1. Fixed Stars and Constellations in Astrology, Vivian E. Robson, 1923, p. 66, 185. 3. Fixed Stars and Their Interpretation, Elsbeth Ebertin, 1971, p.28. 4. The Living Stars, Dr. Eric Morse, 1988, p. 145. 5. The Fixed Star Health and Behavior Imbalance, Ted George and Barbara Parker, 1985, p.38. Your blog/site has the most advanced features among similar blogs. Thank you. I am now very scared of Polaris. One of my friend’s natal planets is at 28-29 degrees Gemini. I am very CONCERNED for her. If you had Jupiter in one of your important houses 1st /2nd /6th for career and work, what would you do? What seeds would you sow? I am telling friends and family to read your posts and go on interviews. How many interviews/tasks should one schedule for good days like 26th or the 29th of this month if they have planets in Virgo? Will many dilute the power? I am requesting advice for a strategy. I would be very very grateful if you could please shed some light. You really need to find the exact degree of the planet and take into account precession correction because there are 3 stars near each other in this region. I don’t use houses, only the cardinal point like AC and MC. For strategy, see your yearly and monthly horoscope. Follow the links to transits and moon phases and you can ask a question on those links if you need. This is a beautiful picture! I absolutely love the colours! I just learned of Polaris conj my AC 29 degrees 24 min Gemini, along with Betelgeuse of course and Menkalinan. I am not familiar with Polaris energies in relation to my AC. Any impressions are greatly appreciated!